It certainly has been quite some time since I have posted on BlondieLovesGinger – please understand that sometimes life takes unexpected turns and priorities need to be set in which this blog did not make the cut to be a priority at that time, however things have started to look better and brighter – both my partner and I are back at writing for you all through our Lifestyle Blog. I have just recently thought about that there must be other options than Post Workout Protein Powders which are pre-mixed commercially, available in absolutely any sizing…yes I am looking at all of you men out there bulking up to look like the next Hulk. To live healthily, these already processed foods cannot be good. I have therefore decided to find out what ingredients our body needs especially after a workout to allow the same effect as a protein shake purchased from our fitness studio or supermarket. I am a lover of smoothies and I am pretty sure I have won my partner over with it as well 🙂 For my personal post workout “protein shake” I have decided to add various fruits/veggies and quark. Quark is high in protein and low in fat AND because of its high level of casein (a slow release protein) does help with muscle build. 1 Banana, handful of green kale, handful of baby spinach leaves, one fig, handful of frozen mango and a handful of frozen blueberries and a big spoon of quark. All of these ingredients can be purchased at your supermarket. 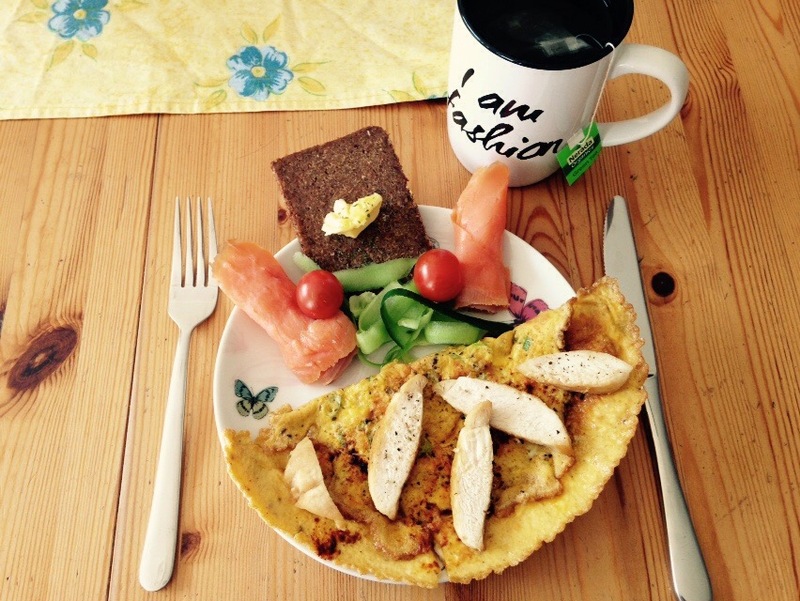 The result: DELICIOUSLY – YUMMY! 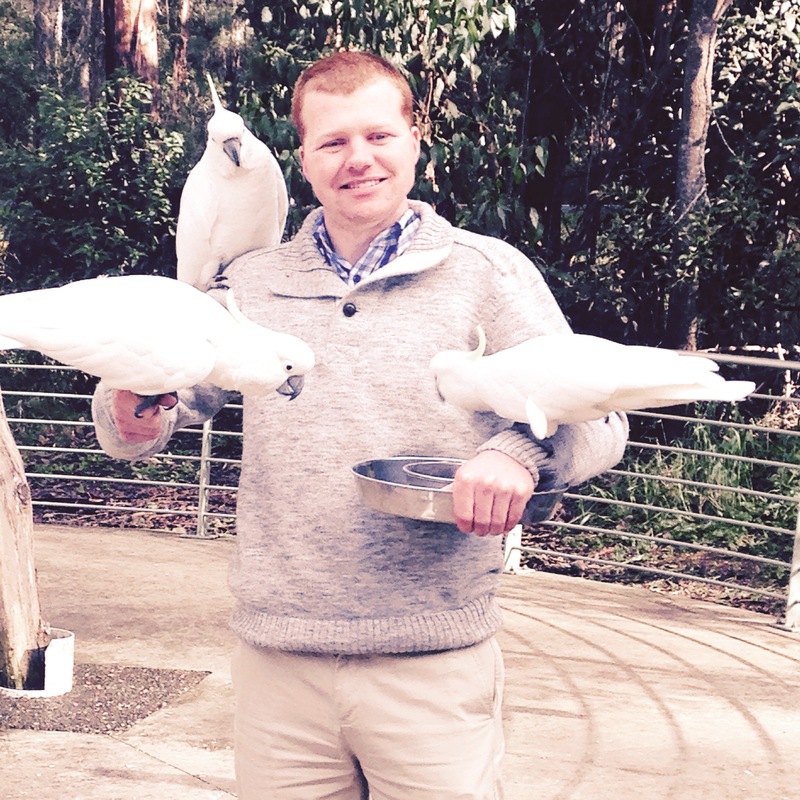 Well… parked the car and enthusiastically purchased a ticket to feed some wild cockatoos within an enclosure. Got the ticket + got the tray of seeds and stood within the enclosure with other people but with no birds! Goodness it was so embarrassing especially when all these tourists started arriving wanting to do the same thing but in the end the birds did make a bit of an appearance. However, we did go on a circle walk nearby, which was quite lovely but very muddy but of course part of the adventure. While the majority of the morning was spent out and about, a lunch booking was waiting for us at Micawber Restaurant. As it was on a Sunday it was getting quite busy during our lunch, the food was pretty good, presented well yet personally I would have liked to get a little bit for for the money that was spent, each to their own. and all this to keep out of the cold, rainy, chilly, windy winter weather Melbourne is offering us at the moment. While I am a #PaleoFoodie to the best of my ability, LOVE food way to much – so I tend to use winter as a time to explore and #roadtrip my way around the area in the search of some nice little tucked away cafes or english / irish taverns, various other restaurants. Completely well traveled I would say. 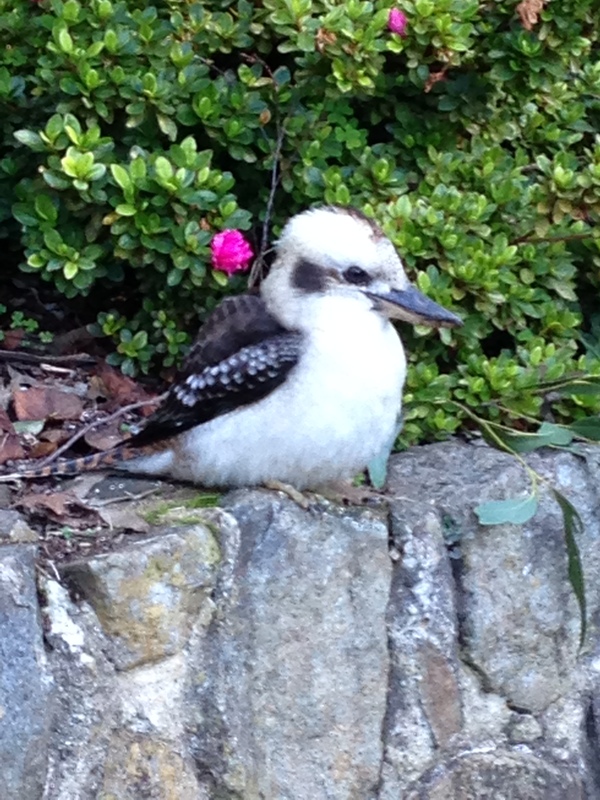 While I am off into the #DandenongRanges tomorrow for some quality time with my significant other, I will most certainly keep you updated on some beautiful places for lunch, dinner and some very beautiful places to refresh and rejuvenate. Stay Happy + Keep Looking Beautiful. Autumn has finally hit us, yet there are still those last days where wearing shorts and a t-shirt is still the right thing to do with temperatures rising up to above 30 degrees celsius. While we are all preparing to keep up our Fitness and Health regimes, I am talking work outs to keep us in shape over the cooler period this year as well as starting to think about soup recipes, slow cooked meals (I personally do not have a slow cooker, for those that do use them!) and other autumn recipes. It is my pleasure to announce that #BlondieLovesGinger will very soon feature a variety of Autumn recipes to keep you healthy and inspired with some easy to follow recipe ideas ranging from soups, healthy breakfast ideas (including for those always on-the-go), entertainers, lunches and dinner inspirations for your own kitchen with the majority of ingredients already sitting in your pantry! + a coffee to get me going. So stay tuned & stay healthy. A surprise trip to the green fields and the nice relaxed scenery at Sherwood Park Orchards just before the Toonimbuk Road turn off, way past the many Estates within the Victoria’s south eastern suburbs…this of course is for those living in Australia, wanting to visit or those living local. So many beautiful Country products from twenty different ranges of chutney to my pickled onions of which there is a particular memory that goes with this grocery item of course it is a different story altogether. They also stocked many varieties of fruit and amazingly we found non- alcoholic wines, again in many different forms. It was beautiful – you basically just add milk to the strawberries. Maybe not quite but the recipe doesn’t involve all too much just a mixer to cut up the strawberries then some full cream milk and a good stir, you can add some strawberry topping if you like to make it a bit sweeter if you wish. It was a beautiful relaxing day that would suit you once in a while too. Been a busy few days? Long Days? Running out of Time or ideas for a healthy Breakfast…or simply got no tiny idea about what healthy meals consist of? Want to be healthy? Have glowing skin and feel good about yourself? Then its time to start with the things you consume. It is important to have a healthy Meal to start your day, no pizza from last night, no ready meals out of the microwave and the meal needs to spell out HEALTH … literally! My perfect example for a healthy + hearty Breakfast is Omlette, with a slice of German Pumpernickel (can be bought at your local Deli or at Coles Supermarket for those living Down Under), a tiny amount of butter, two slices of raw/uncooked salmon and some grated cucumber to garnish. While it might not look like enough, trust me it is. It is healthy and full of healthy goodness. Of course there is different varieties which you can make up yourself but its a basic example of a quickly made healthy Breakfast. Enjoy + Think Healthy Goodness, your Body will thank you later! When the warmer weather hits…entertainment calls. While there is millions and billions and even trillions of recipes out there to have as an Entertainer or Finger Food as some of might call it, I have come across possible a favorite recipe of mine, while flicking through the Coles Recipe Book of November twenty fourteen. Just imagine … its Summer, a sunny day + absolutely beautiful weather, clear sky. Your first thought? A get-together with family and friends or your Neighbors from next door over some Appetizers and a nice BBQ. Lamb cutlets, steak, turkish bread, a variety of salads served as Mains, but what to do when guests arrive and the BBQ is not get ‘ready to go’? 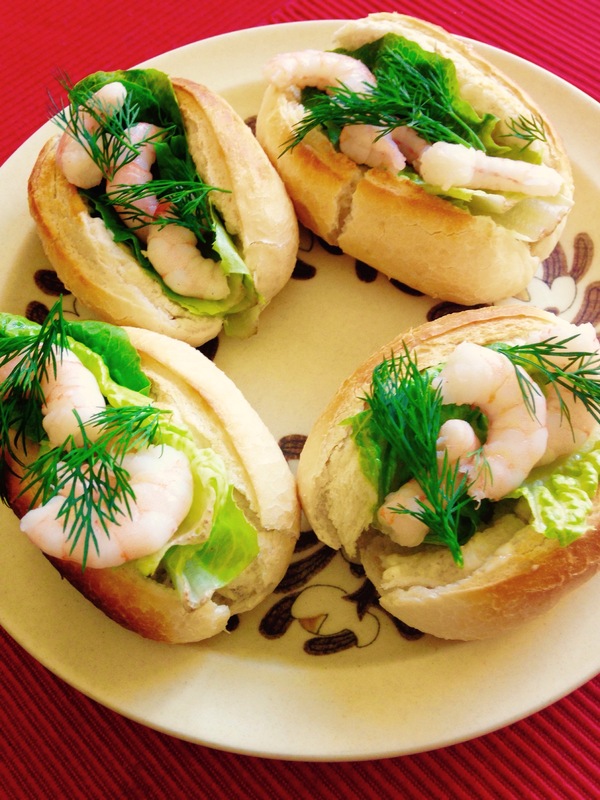 Help is here with Prawn Cocktail Sliders, easy made and absolutely delicious, your guests will talk about this recipe for quite some time to come. have some Wedges to serve also. 1. Bake bread following packet instructions. 6. Add cos lettuce, prawns and some dill.